The Sports Network is the official broadcaster of the US Open Tennis Championships. To promote the coverage, Leo Burnett Toronto went where tennis fans are: local courts. 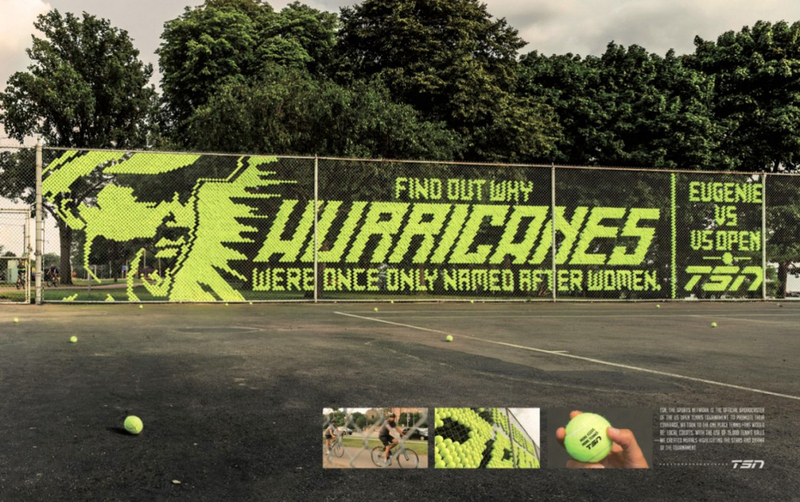 With 15,000 tennis balls, they created murals highlighting the stars and the drama of the tournament. This well put together piece was featured in the 2015 Typography Annual of CommArts.